Oh March, you bring both tax season and spring. You’re over now, so let’s move on to April, a month that offers the hopes of biking and walking around in shoes again. I feel like I barely touched a pencil in March. I think I was so caught up with the trip to Lyon and my goddamn taxes that the only activity that seemed remotely rewarding was to binge-watch Boruto instead of working on any of my stuff. I was well on my way to finish the Utown scenario but I suddenly found a million other things to do. I’m not gonna lie, this month has been… real rough. Between bouts of procrastination and crippling self-doubt about the grant I applied for, I don’t feel like I’ve spent my time efficiently at all in the past weeks. It’s insane how draining jumping from one task to another is. Chris Bailey calls it “attention residue”, that fog that clogs our brain when we multi-task too much. As a freelancer, this is probably my biggest weakness, and this month has been a hell of a challenge in that regards. 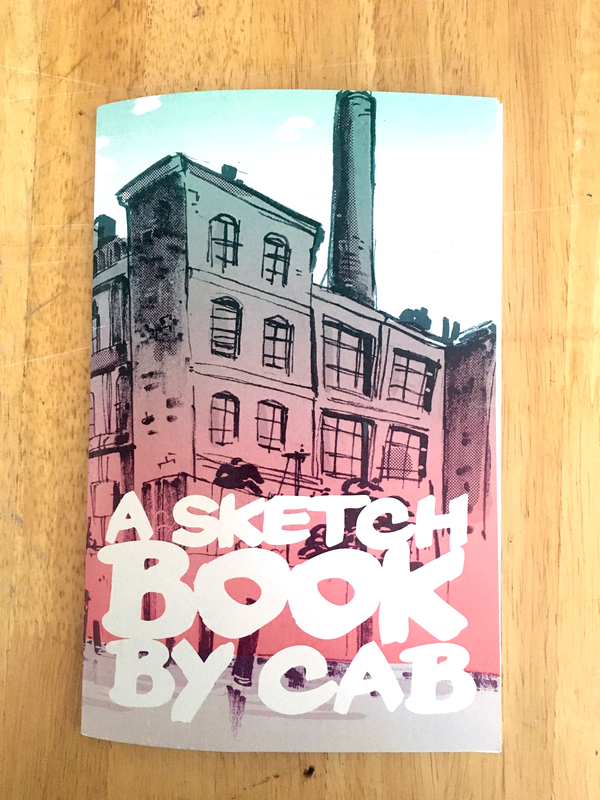 Thankfully, I decided to embark on a project that I had been putting off for too long: making a new sketchbook! It got me so motivated that I managed to have it done in less than two weeks. It was fun, digging around old archived folders, reworking sketches that deserved a second chance and scanning forgotten pages of sketchbooks. Having all these disparate drawings together made me realize that I’m glad I kept a lof-fi analog quality to my drawings, wether digital or hand drawn. It’s starting to set me apart–and I like it. 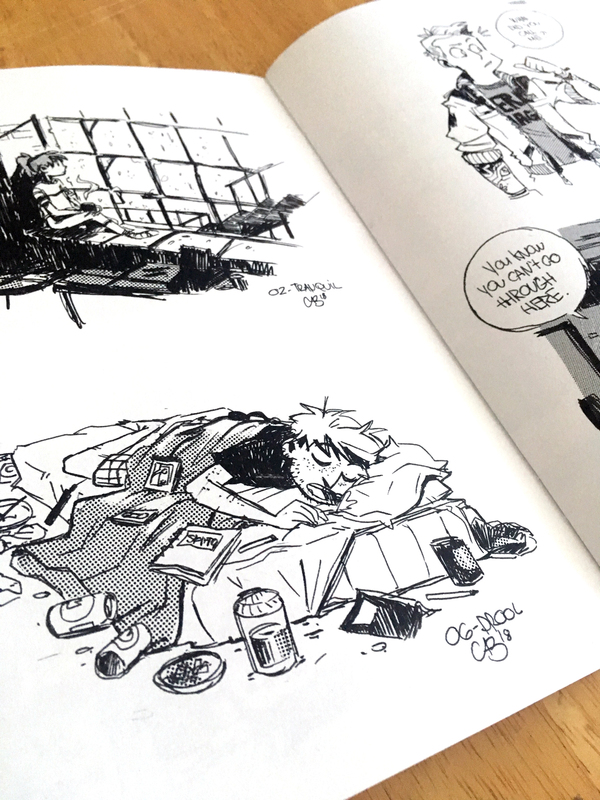 And yeah, I’m gonna say it, I’m damn proud of what’s in that book, even if there are drawings dating back from 2016. Old art isn’t (all) bad art. Putting together this little 32-page booklet felt real good. I’ll put it up for sale mid-April! 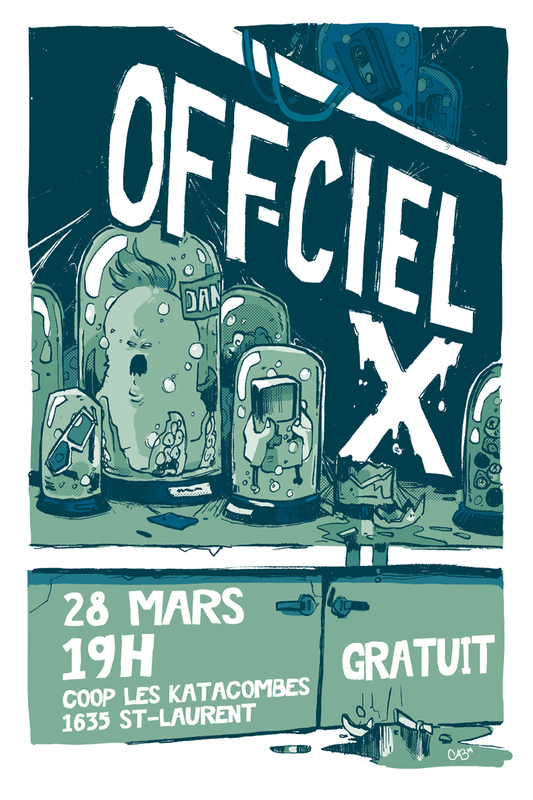 I was also tasked with making the official poster for l’Off-Ciel, a pop-culture event taking place in late-March. Making covers and posters might just be my two favorite non-comic related sort of gigs. I’m gonna try to make more in the future. I worked in duo-tone again for this poster, aka the most satisfying method of colouring. I can’t wait to see it printed! 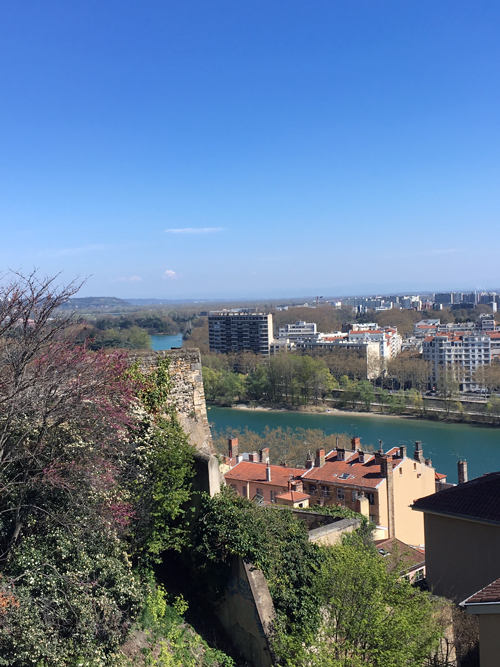 It’s Sunday the 31st as I write this last bit, and I just came back from Lyon, so it’s still fresh in my mind. It wasn’t anything like Japan when it comes to the work load: I had one signing event in a bookstore and one live-drawing event. So this left me and my travel buddy Guillaume loads of time to explore this gorgeous city and to talk to the wonderful people who made all of this possible. Bonus, I even got to hang out with Émilie, my friend who just moved to Lyon like, a week ago. And as we always do between French-speaking “cousins”, we delighted one another with the wildest, most regional expressions we could think of. Surprisingly, I wasn’t asked to repeat over and over, despite me refusing to change my thick, thick accent! Watching: Queer Eye season 3, between heartfelt tears. Since debuting, this show has done more for my self-esteem than most things. For once, I now own way more button-up shirts than I ever did. A true improvement. Listening: The english rock band Shame. I cannot get enough. And as it often happens, I’m falling back into oldies, like old, old The Cure, Buzzcocks and The Clash. Thinking about: Who still uses RSS feeds and aggregators? After Google Reader was shut down in 2013, I migrated all my favorite blog’s RSS feeds onto Feedly and to this day, it’s still my favorite way to get news that isn’t on Facebook or Twitter. I’m grateful for small, one-person blogs that still curate and publish content weekly. I stumbled upon so many interesting and eclectic articles on my daily Feedly browse–content that wasn’t suggested by an algorithm of favorited by some Facebook acquaintance–that I can’t imagine RSS feeds ever going away. I don’t know what I’d do.